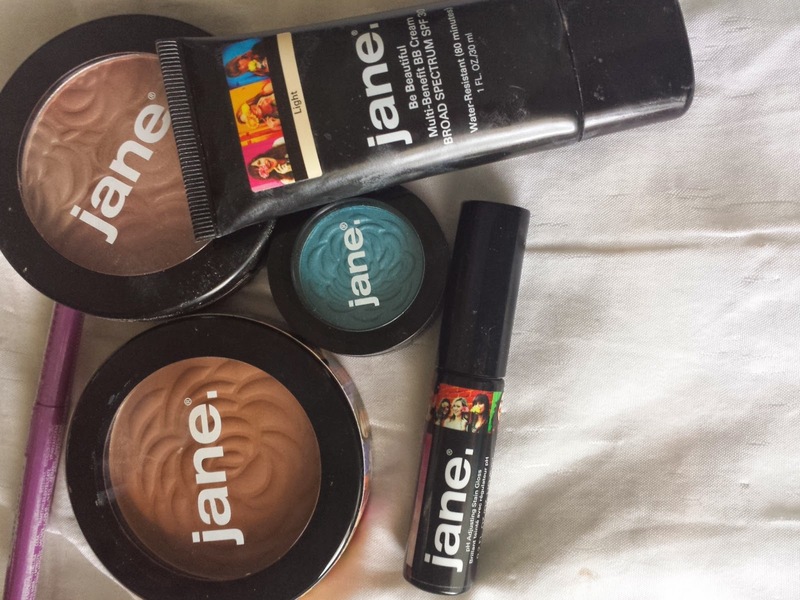 Have you ever heard of Jane Cosmetics? I guess they were around a long time ago and have came back with amazing new packaging. Personally I've never heard of the company before, and you might be surprised to hear me talking about makeup on THIS blog instead of my actual makeup/beauty blog, but I thought it was time to spruce things up a bit and talk about a couple different things. I first saw Jane Cosmetics in Ulta, but also read some things online and on other beauty blogs. I heard fabulous things about not only their BB Cream but their bronzer, and truth be told, these are my two favorites out of the bunch. I've spent so much money on high end upscale bronzers, only to realize you can buy great quality at a fraction of the price. I've been using Too Faced Chocolate Bronzer not only because of the delicious smell but the color payoff worked well with my face, and a bronzer lasts forever. I am still using Chanel Soleil Tan, the same tub I've had for almost 3 years now, so let's face it .. Bronzers last FOR-EV-ER! 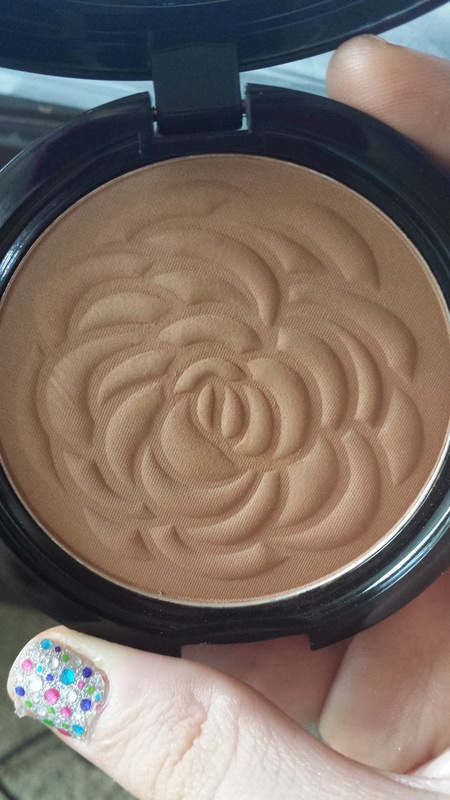 What I liked about the Jane Cosmetics Bronzer in the color "Dream", (of course other then the gorgeous flower print when you first open up the packaging) is it's strictly a matte color. It's lighter then every other bronzer in my collection. Picking the best bronzer for your skin tone is so important because if you go too dark you could look like you have dirt on your face, if you go too light, well thats' just defeating the purpose so what I think a lot of makeup artists and makeup professionals don't tell you when they are applying makeup on your is what color BRONZER you should be wearing. I went to MAC the other day, got my makeup done and when I asked her to match my bronzer she looked at me like I was nuts. Truth is a lot of makeup artists DONT use bronzers, not only because it's probably too much work, but bronzer is not something that everyone wears. I find bronzer if done right can really enhance, or if you really want, could change the complete shape of your face with a just a few different shadowing techniques. Here are a couple of the most popular bronzers on the market today with the names listed below. (From top to bottom:) Jane Bronzer in shade "Dream", theBalm "Bahama Mama" Bronzer, theBalm "Betty Lou Manilizer", Rimmel's, "Sun Bronze" the last is Too Faced "Chocolate Bronzer"
When I'm darker skinned like right now, I tend to lean towards theBalm's Bahama Mama which is the darkest bronzer in my collection, the second darkest is something I use when I'm a tad bit lighter then I am now, Too Faced Chocolate Bronzer, and when you're super light, perhaps in Winter time, the Jane Bronzer or Rimmel are fabulous options. 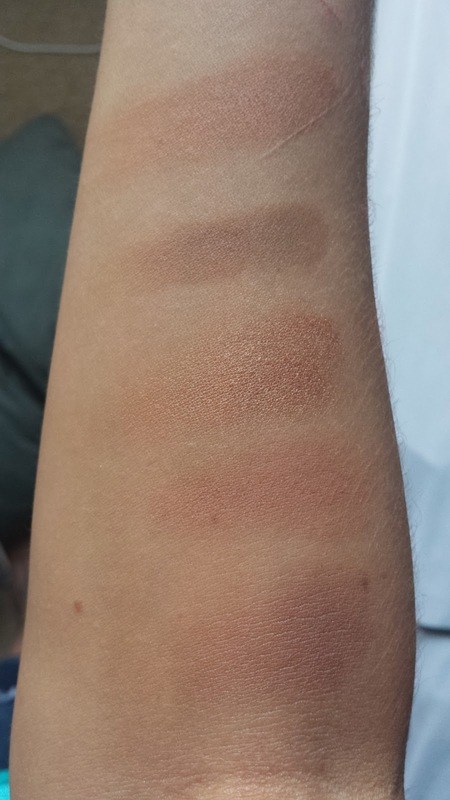 Do you see a diffference in the high end bronzers vs the drugstore? Too Faced and theBalm's Bahama Mama are almost exact duplicates of a matte brown bronzer. Jane Cosmetics Bronzer in color "Dream"
There is nothing from Jane Cosmetics that I don't really like. But if I had to pick my other absolute favorite, (which is really tough because the BB Cream is one of the best I've seen) but the Adjusting Stain Gloss not only tastes like cherries but the color payoff is incredible. And for the price this is a must have. 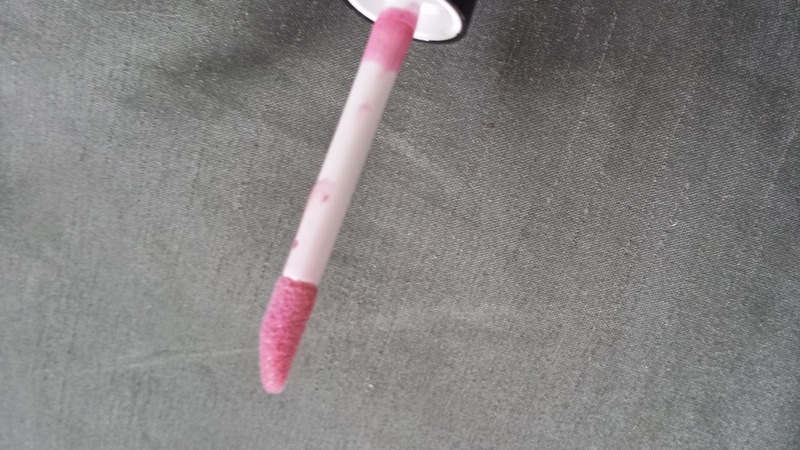 Overall, Jane Cosmetics feels like the high end expensive fancy brands, but has the price tag of the famous drugstore brands, if not even a little less. So it's really worth a shot. If you only want to try one or two items, I highly suggest the gloss, Powders & BB Cream. Jane Cosmetics are available on their website and ulta. Haha, yes, I wore Jane a long time ago, until they were discontinued sometime in 2008 or 2009, which was actually only a few years ago. :-) Back then, it was owned by the Estee Lauder company, but has since been purchased by another lady who wanted to bring the brand back.